Btw. 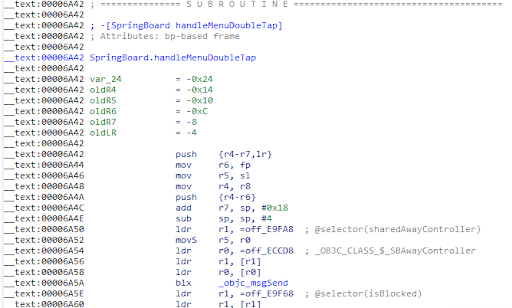 do you know of other scripts which might become handy when reversing iPhone binaries? I don't know. I didn't use IDA Pro a lot. extern (Global variables) is supported since IDA Pro 5.4, so you need 5.4 or above. Heh, did you see the similar script I wrote (well, hacked from fixobjc.idc) recently? though yours looks more comprehensive.. Awesome work with this man. It's quite handy. Do you have any idea about finding function arguments (private framework) from arm assembly code (by using IDA Pro or by run time from GDB).